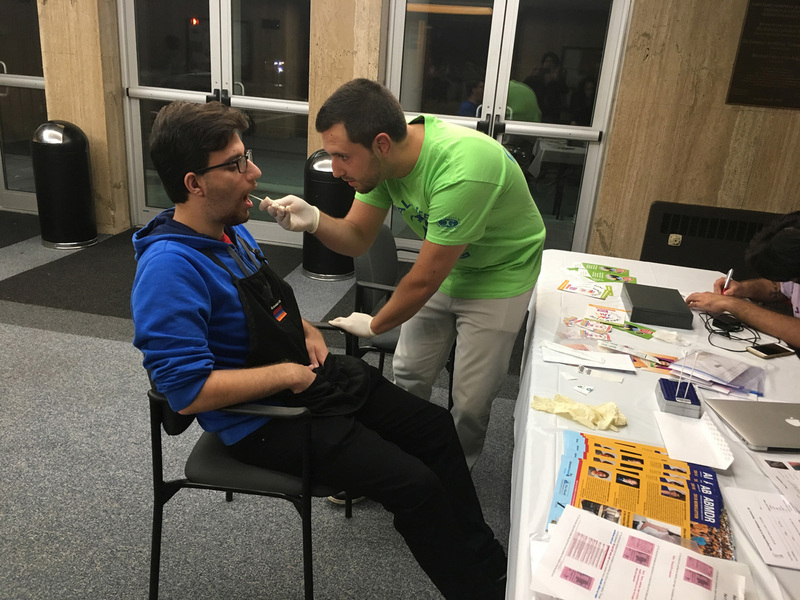 Los Angeles, November 1, 2018 – In recent months, the Armenian Bone Marrow Donor Registry (ABMDR) held a series of community-outreach events in Massachusetts and California, seeking to educate the public about the crucial importance of having a national registry of bone marrow donors in the ongoing effort to save patients’ lives. The outreach events consisted of a donor recruitment in Massachusetts, and three lectures in California, featuring ABMDR Outreach and Education Officer Dr. Vergine Madelian. The events included presentations on the unique genetic makeup of ethnic Armenians; the role of ABMDR in maintaining a robust registry of bone marrow stem cell donors from across the globe, identifying donor matches, and facilitating life-saving transplantations for Armenian as well as non-Armenian patients; and the latest medical advances pertaining to the field. 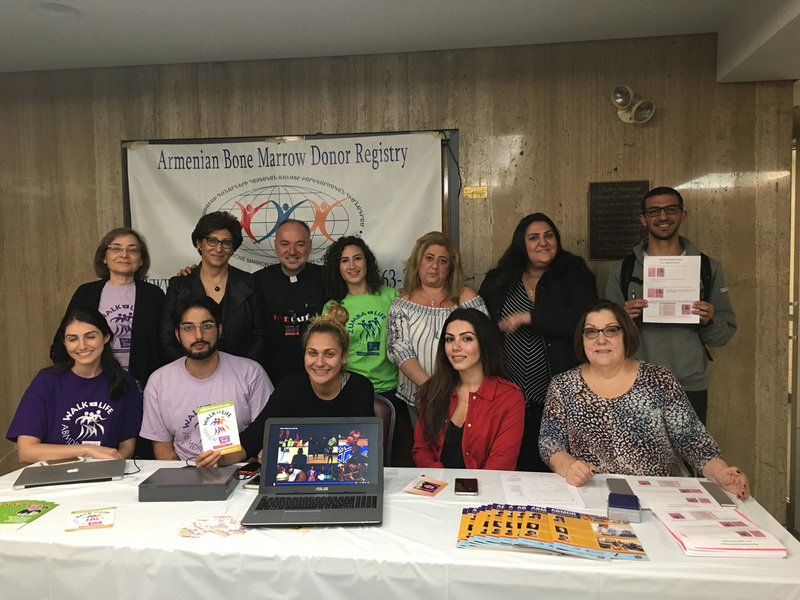 On September 21, a donor recruitment was held at the Charles Mosesian Cultural and Youth Center, adjacent to St. James Armenian Church, in Watertown. The event was organized by Fr. Arakel Aljalian, Pastor of St. James Armenian Church, as well as the ABMDR New England Support Group. Following a brief presentation by AMBDR President Dr. Frieda Jordan, a number of youths joined the organization as potential bone marrow stem cell donors. 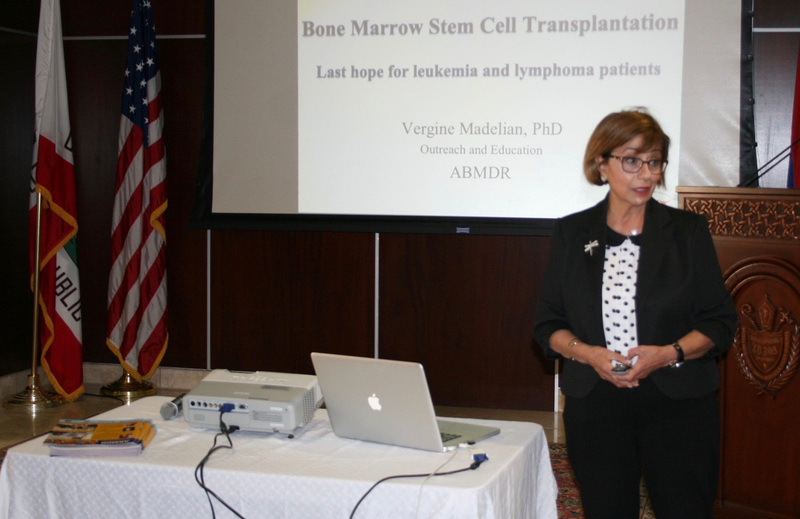 On October 4, Dr. Madelian delivered a lecture titled “Bone Marrow Stem Cell Transplantation: Last Hope for Leukemia and Lymphoma Patients” at the Western Prelacy, in La Crescenta, California. 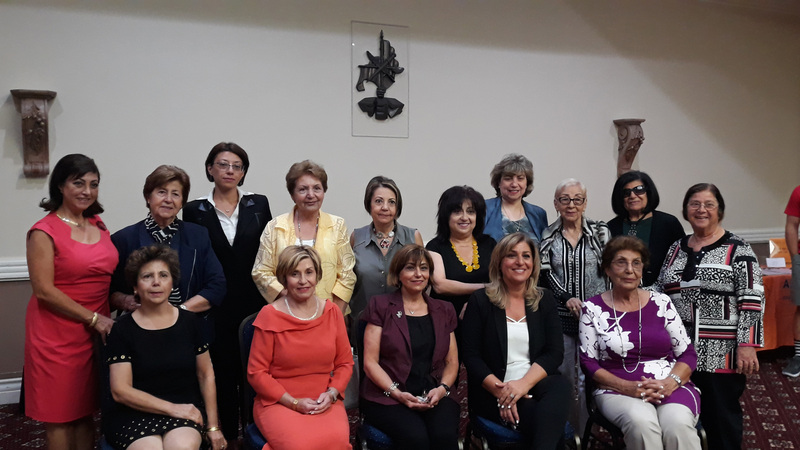 The event was organized by the Ladies’ Auxiliary of the Prelacy, and held under the auspices of Archbishop Moushegh Mardirossian, Prelate. 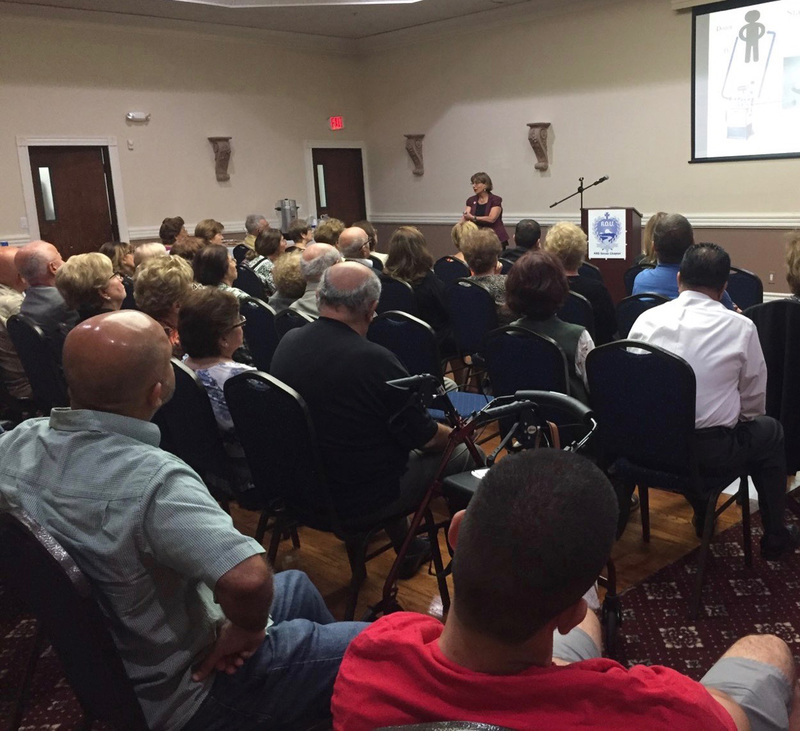 Dr. Madelian made a presentation carrying the same theme on October 21, at the Armenian Center in Santa Ana, Orange County. The event was organized by the “Karni” and “Sevan” chapters of the Armenian Relief Society. 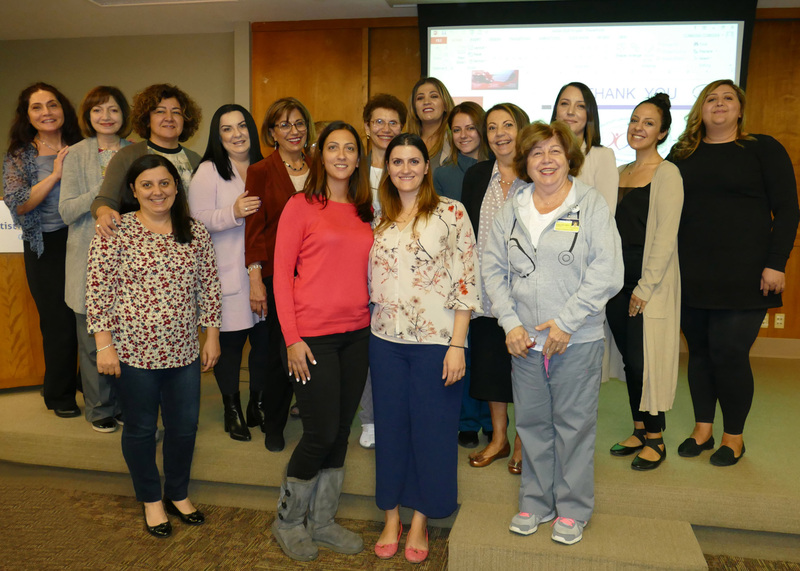 Dr. Madelian’s third lecture/presentation, titled “Stem Cell Therapies and Bone Marrow Stem Cell Transplantation,” was held at Adventist Health Glendale, in Glendale, California, and organized by the Armenian-American Nurses’ Association. Dr. Madelian’s presentations were followed by question-and-answer sessions, with attendees demonstrating enthusiastic interest in joining the ranks of ABMDR as potential bone marrow donors and supporting its mission. About the Armenian Bone Marrow Donor Registry: Established in 1999, ABMDR, a nonprofit organization, helps Armenians and non-Armenians worldwide survive life-threatening blood-related illnesses by recruiting and matching donors to those requiring bone marrow stem cell transplants. To date, the Registry has recruited over 29,000 donors in 29 countries across four continents, identified 4,482 patients, and facilitated 31 bone marrow transplants. For more information, call (323) 663-3609 or visit abmdr.am. ©1999 - 2015 Armenian Bone Marrow Donor Registry All rights reserved.